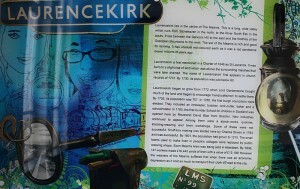 Laurencekirk lies adjacent to the A90 dual carriageway half way between Aberdeen and Dundee and within the Aberdeenshire Local Authority. Its population has doubled to about 3000 in the last twenty years, associated with the arrival of families whose work is related to Aberdeen’s North Sea oil and gas industry. The former market town of the Howe of the Mearns, it remains today as the main service centre. Public services based here include the 650-pupil Mearns Academy which provides secondary education to children from seven primary schools in the area, a health centre, police and fire services, post office, library and community centre. There are three public houses, cafés, restaurants and takeaways and a range of shops and services to satisfy local needs. It retains its own police station, fire service and post office, enabling people to maintain a green profile. With the re-opening of the railway station in 2009 it has a good rail link for the many commuters employed in Aberdeen. Community life is buzzing, with around seventy different clubs and organisations. With fine views across the valley to the Grampian Mountains, the town has a very rural atmosphere. With easy access to both hills and beaches it is well positioned for those who enjoy the countryside but appreciate the opportunities of a strong community. A further development of 800 houses is expected to be added to the town over the next 10 years. 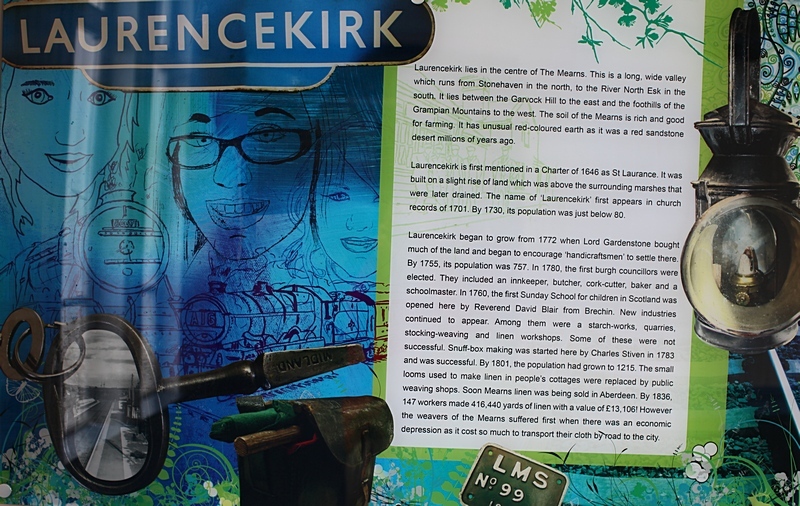 To read about the history of Laurencekirk click here.